Disclosure – I’m excited to be a part of the Mom It Forward Blogger Network and to work with one of my favorite organic beverage companies, Steaz, who have kindly decided to sponsor this blog post. Check them out on their social media channels SteazFacebook, SteazTwitter and SteazInstagram. If there is just one thing you can do to make a huge impact to your health, it’s making the choice to give up soda. By doing that one simple thing you will cut your risk for type 2 diabetes, obesity, tooth decay and cancer just to name a few! Kids are even getting fatty liver disease these days. Kids! Does anyone else think that is completely insane? And guess what the biggest culprit is? Soda! (source) Just 1 soda a day puts kids at a 60% chance of being obese. (source) Yikes! But I know so many people who just can’t seem to kick their daily soda habit. 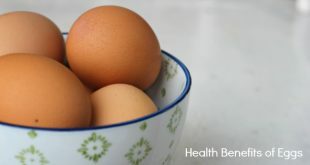 Even some of my best friends, who know better and who strive to eat healthy are still having trouble kicking that one bad habit to the curb. And although I don’t have a soda addiction, I can relate. It can be really hard to give up your favorite foods, especially something as addictive as soda. The struggle is real! Usually when you completely cut out a favorite food from your diet, you feel restricted and deprived. And that mentality almost always backfires leaving you feeling guilty and miserable. That’s no way to live! That’s why I love finding delicious, healthier alternatives to my favorite foods. In fact, having healthier alternatives like those mentioned above is one of the biggest reasons why I’ve been able to maintain a healthy lifestyle and maintain my weight for over 15 years. Why? Because I never feel restricted or deprived! 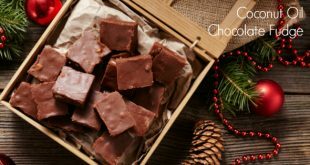 I have a handful of healthier alternatives that taste just as good when that occasional craving strikes. 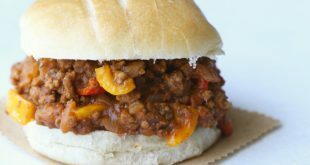 I’ve found the key to sticking with these healthier options rather than going back to the unhealthy versions is to make sure your healthier alternatives are just as delicious & satisfying so you never even miss or think about the old guys. These 3 healthy alternatives to soda are absolutely delicious and I have a good feeling that they will get your seal of approval just like they do for me and my family. It’s my wish that these options will help you ditch your soda habit once and for all. So without further ado, here are 3 of my favorite healthier alternatives to soda. And unlike soda which is a major factor in many diseases, these drinks have beneficial ingredients that will actually add something positive to your health! 1. 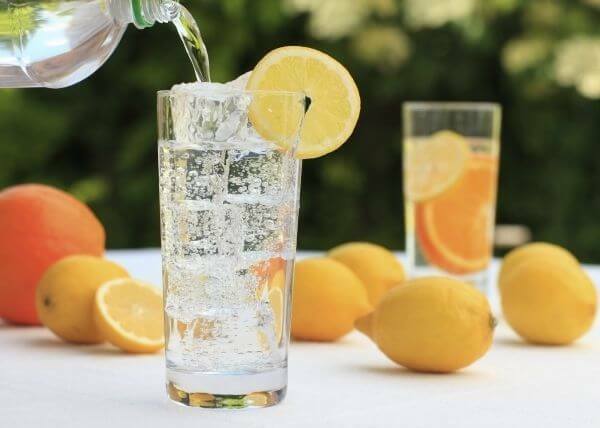 Sparkling water with a squeeze of lemon and a pinch of your favorite sweetener of choice. This simple carbonated beverage is super simple to whip together and it tastes almost identical to the big brand lemon-lime soda! It’s fizzy and has the perfect amount of sweetness and tang. 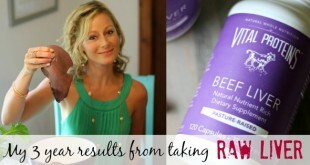 It’s loaded with vitamin C (which is awesome for collagen production, ladies! ), helps boost your metabolism, helps you digest your meals better if taken before a meal, boosts your immune system and it even helps your body flush out toxins. Fill your cup up with ice, pour yourself a glass and this will majorly hit the spot! You can have a lot of fun with this simple recipe and add in different types of muddled fruit and even some herbs like mint or basil. Change up the lemon to lime, grapefruit or orange for a fun variation. 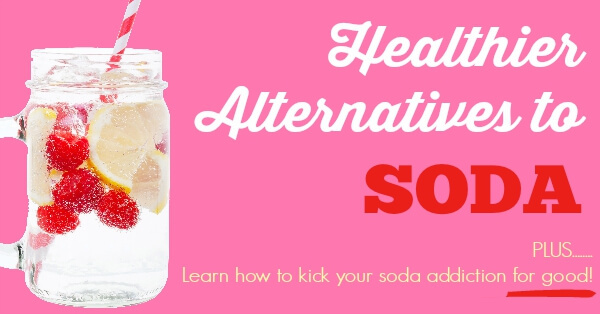 This soda alternative is so delicious that I bet you’ll never even miss your old soda! I wanted to give you a healthy soda alternative for on the run and Steaz drinks are my pick for numerous reasons. They are a super tasty, all natural, organic, fair trade green tea based drink from a company who cares about health, high quality ingredients and sustainable farming. You probably already know how much I love my green tea! It’s a personal favorite of mine. Green tea is rich in antioxidants that help fight inflammation, toxins and disease. 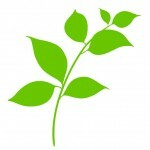 Green tea is also a wonderful metabolism booster and provides a calm, focused, sustained energy boost. Plus it’s great for skin health and anti-aging. 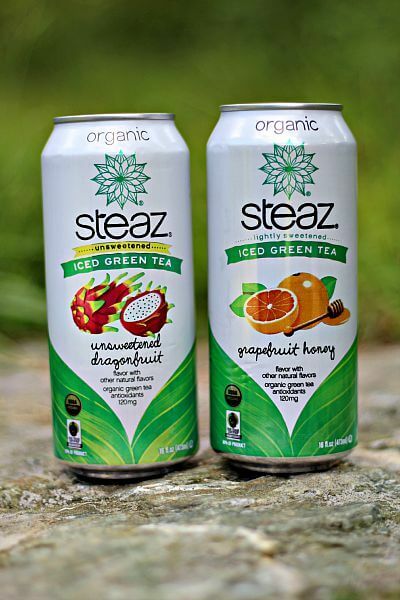 Steaz carries a great variety of iced green teas and green tea based energy drinks. All of the flavors we’ve tried so far have been delicious! 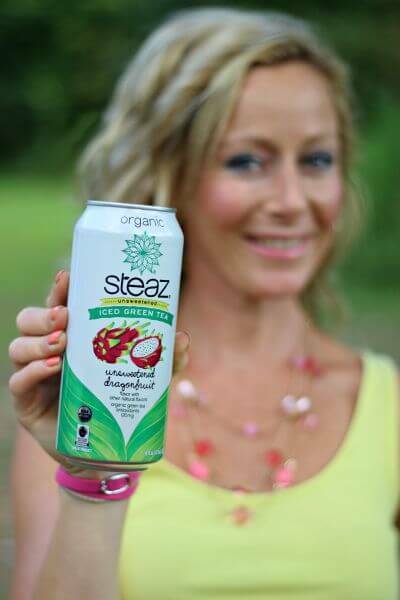 When we were on the road traveling during the hot days of summer, the Steaz Unsweetened Dragonfruit (just pure, unsweeteend, organic green tea with hints of natural fruit!) was my go-to refreshing beverage. My husband’s favorite after his mountain bike rides is the lightly sweetened Grapefruit Honey. I think you’ll find that it’s not too hard to ditch soda when you have such a flavorful and much healthier alternative at your fingertips! With flavors like Half and Half (half green tea, half lemonade), Goji Blackberry, Blueberry Pomegranate, what’s not to love?! 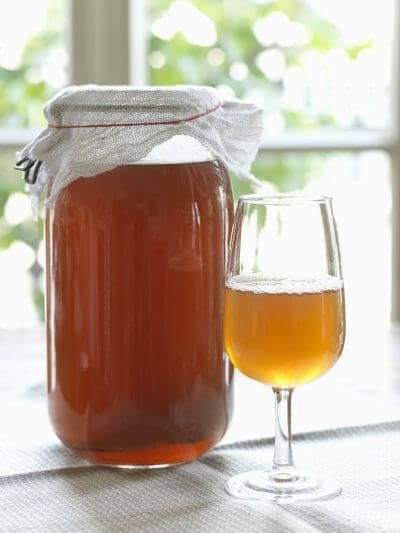 Kombucha, a fermented beverage is a great option for soda lovers because it’s fizzy like soda. I know many people who have been successful at kicking their soda habit by drinking kombucha instead. If making kombucha is not for you, I have a super simple Berry Lemon Apple Cider Vinegar Drink recipe that tastes like kombucha, but it’s so ridiculously simple to make. Plus, it’s absolutely delicious and refreshing. 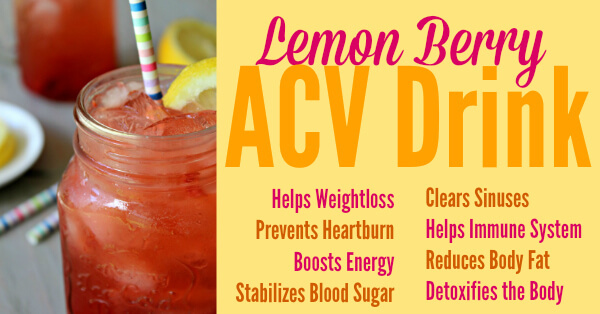 And don’t worry, it doesn’t taste like apple cider vinegar — I hate the taste of ACV and I love this drink! Kombucha and my easy ACV drink are loaded with health benefits and good bacteria. These drinks can even help you lose weight, help your digestion, boost your immune system, clear up your skin and help your body fight disease! Such good stuff! So many people who are addicted to soda tell me that their afternoon soda is the only thing that gets them through the day. If you are among those who feel like you hit a brick wall in the afternoon, are completely exhausted and need a soda or other type of caffeinated or sugary beverage to function, please consider having your cortisol levels checked through a simple salvia test. 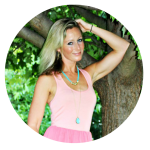 Those are often signs of tired, overworked, stressed adrenals known as adrenal fatigue. When your adrenals are overworked, you can feel exhausted, easily overwhelmed and stressed, have sugar and carbohydrate cravings and have a lot of trouble losing weight. And guess what? Soda and diet soda are one of the worst things for your adrenals. I know the soda feels like a temporary fix to your slump, but you are doing your body some really devastating long term damage if you don’t address the root cause of your exhaustion now. 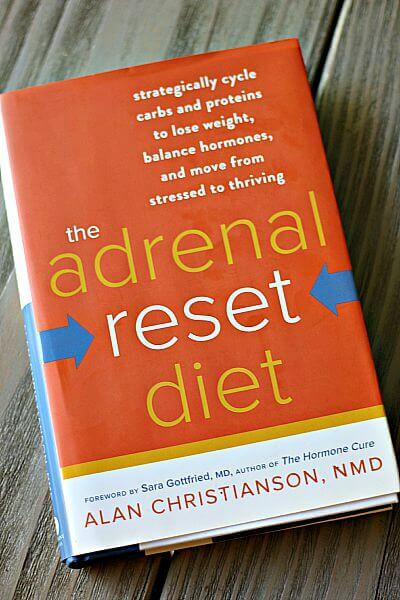 One of my favorite protocols on how to heal your adrenals is outlined in THIS BOOK by one of the best naturopathic doctors in the country, Dr. Alan Christianson. Dr. Christianson wrote this program after decades of research and over 75,000 patient-care visits. And his book is the exact protocol he uses with his own patients – it will teach you everything you need to know and tell you what to do to get your adrenals functioning optimally in an easy to read and follow plan. HERE is the link for the book if you are interested – I highly recommend it. Do you have a favorite healthy alternative to soda? Or did you used to be addicted to soda? What helped you break your addiction? I want to know! Leave me a comment below! I never actually thought I was addicted to soda until I stopped drinking it for solidarity with my dad (who had a real addiction). The first few days (weeks?) were the hardest, because I did get massive headaches, and I was tired all the time, but I feel so much better to have it out of my diet. I love these alternatives. Can’t wait to try them for myself! And healthy alternatives are what keep me motivated on my healthy life journey! I recently tried kefir ginger water. So good and very healthy. Super healthy! I love that idea, Marilynn – thank you! I have not had soda in over three years. I used to be a mountain dew addict. there wasn’t a day I didn’t drink at least one. I now have multiple batches of kombucha and water kefir going and have a constant supply at various levels of sweet and carbonation. Don’t miss the soda at all. No artificial colors or flavors – cherries or strawberries give me red color, peaches give various shades of orange/yellow. Any flavor from fruit or combination of fruits to your hearts content. I also like to add ginger slivers for added zing! The savings are tremendous, even just plain water kefir or kombucha before the second ferments with fruit and ginger are tasty. The cost is equal to how much you can spend for a cup of sugar and a few teabags for the kombucha or a few tablespoons of sugar for the water kefir and you get a gallon. A good search online can land you a SCOBY or a small amount of kefir grains for less than a 12 pk of soda. AND the SCOBY will multiply and with care the kefir grains will last indefinitely. Bonus probiotic and nutritional advantages. 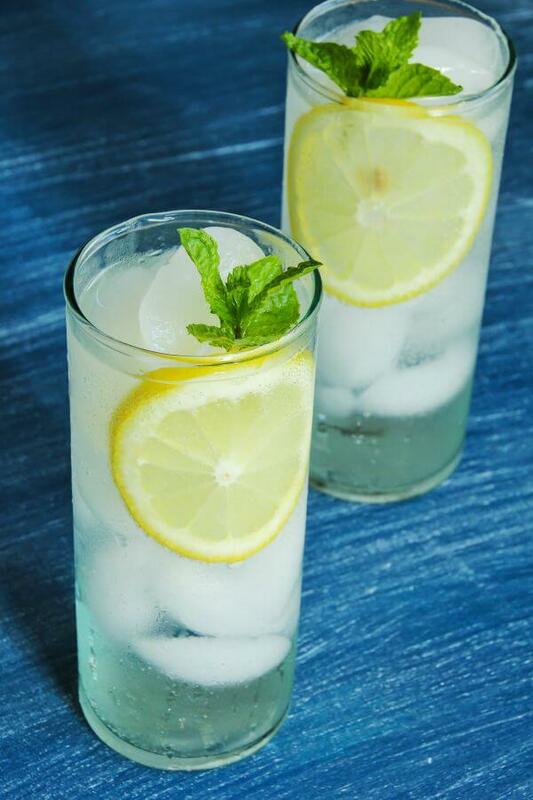 Sparkling waters can be made with artificial carbonation methods. The kombucha and water kefir will generate their own carbonation from the sugar being used up in the process. The longer they set, the more carbonation. A win, win situation. Awesome, Fayette! Thank you so much for all these awesome tips! I make my own kombucha, but have been wanting to try water kefir. You have given me some inspiration to order the grains and get started — thank you!! I saw this recipe on another blog last year for “kool aid” herbal iced tea (i like the red ones) with stevia and a little apple cider vinegar…sometimes I add a tablespoon of sour cherry juice too.